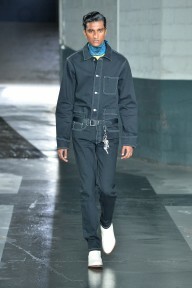 Demna Gvasalia has done it again. 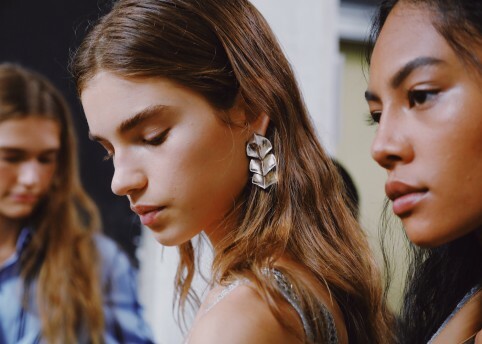 From instigating the return of Juicy Couture-style tracksuits to last season’s layered looks which inspired a viral Joey Tribbiani meme, the designer continues to push our collective understanding of what constitutes high fashion. 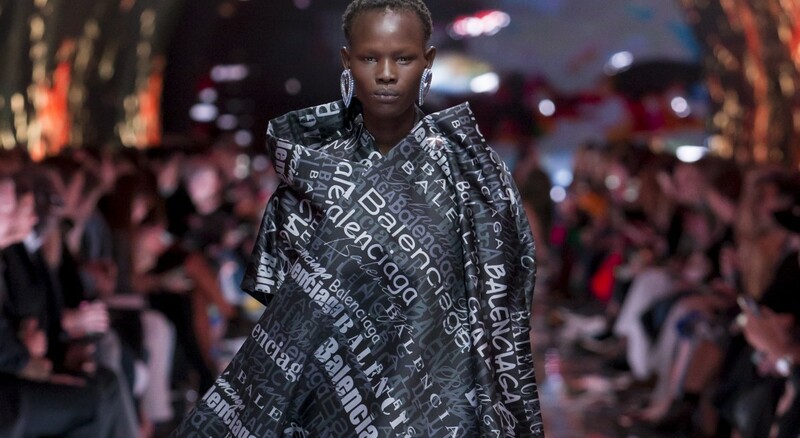 For SS19, Balenciaga’s creative director explored our current relationship with technology in all its glitchy glory. 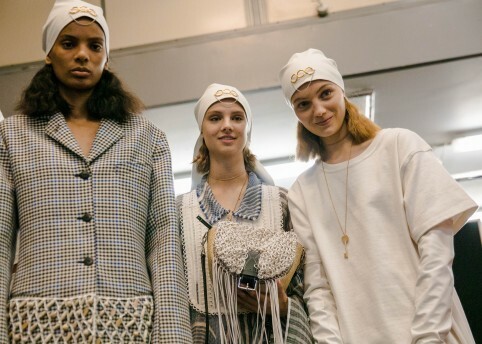 Enlisting the expertise of Canadian artist, filmmaker and essayist Jon Rafman, whose work centres around the impact of technology on modern life, Gvasalia presented his collection in a tunnel which saw the creative’s work projected onto the walls and floor. Start-up screen messaging and computer static set the scene for a collection that made use of technology in more ways than one. 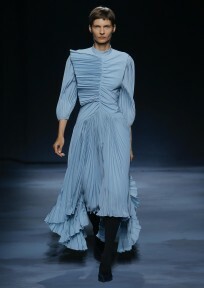 3-D moulding was implemented to build jackets more structural that we’ve seen from Gvasalia (and that’s saying a lot), while square-neck dresses covered in WordArt-inspired fonts (including the dreaded Comic Sans) served as nostalgia packaged as niche eveningwear. 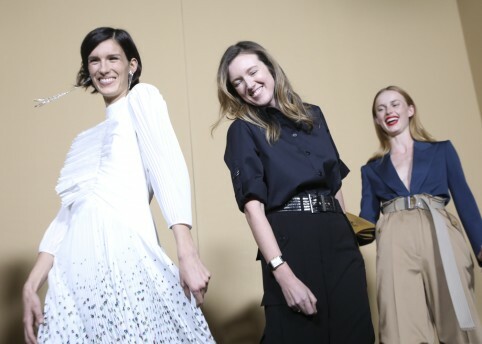 The designer also referenced his past collections: oversized leather jackets, double denim ensembles and high-neck velour dresses appeared as recognisable tropes of the Balenciaga aesthetic under his governance. Elsewhere, a glittering Eiffel Tower print decorated robust suits and bodycon dresses, paying homage to the house’s home city. This was Gvasalia using tech to test boundaries, and, boy, do we like it.